For this review, we tested Apple's entry-level model with 256 gigabytes of storage and a 1.1-gigahertz Intel Core m3 processor. It also includes 8 gigabytes of RAM, and is priced at $1,299. If you're looking for more horsepower, Apple offers a 1.2-gigahertz dual-core Intel Core m5 processor and 512 gigabytes of storage for $1,599. And a maxed-out model with a 1.3-gigahertz dual-core Intel Core m7 runs $1,749. All models are now available in four colors, including a new rose gold option that matches Apple's iPhone, iPad and Apple Watch product lineups. 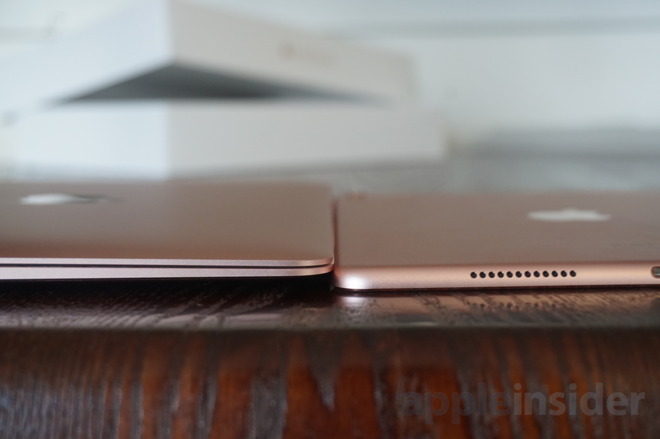 It joins last year's trio of options: silver, gold, and space gray. Let's address the elephant in the room right up front: The design of the 12-inch MacBook remains unchanged, including the use of a single USB-C port for syncing and charging. For some, this may be a non-issue, or even a welcome change. For others, it may be a deal breaker. First, the positive: The reversible USB port is well designed and convenient. 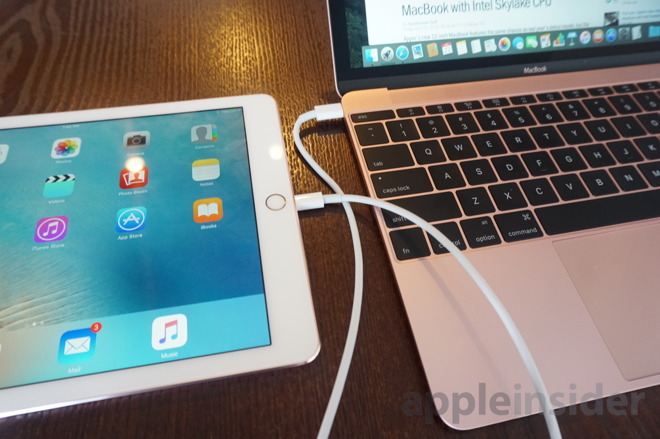 The included power brick is about the size of the iPad one, which is to say it's easily portable. Toting around this brick and cable is much more convenient than with a MacBook Pro or even a MacBook Air. And if you have USB-C cables and accessories, they'll work just fine with the single port. 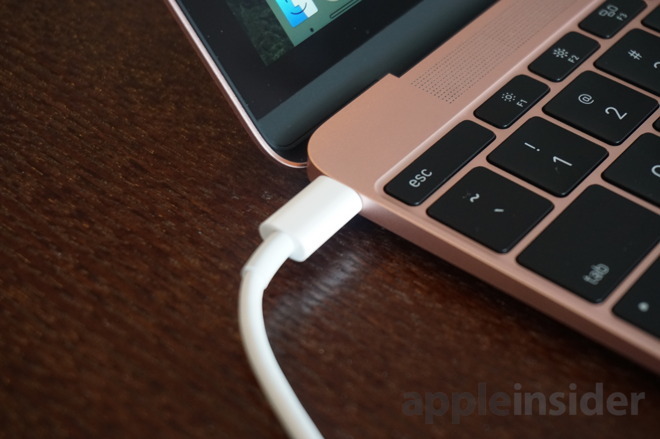 In fact, Apple just released a USB-C to Lighting cable that will allow users to plug their iPhone or iPad directly into the MacBook for syncing and charging. We tested it, and it works as you'd expect. Of course, if you want to sync or charge your iPhone or iPad through your 12-inch MacBook, you won't be able to charge the MacBook itself at the same time— unless you have an adapter that enables more ports. This has been the source of a great deal of controversy over the first year of the MacBook's life, and it will continue for the second generation model. Frankly, this concession doesn't really bother us very much. The fanless thinness of the MacBook is truly an incredible achievement, and anyone who is buying this Mac knows what they are getting into. This is a machine meant for light computing, and the lack of ports just drives that point home. For us, the greater loss is not the lack of additional ports, but the abandonment of MagSafe. Apple's magnetic power port found on the MacBook Pro and MacBook Air has long been a defining, unique feature of the company's notebooks, and it's saved our Macs from taking flight via a suddenly yanked cord countless times. 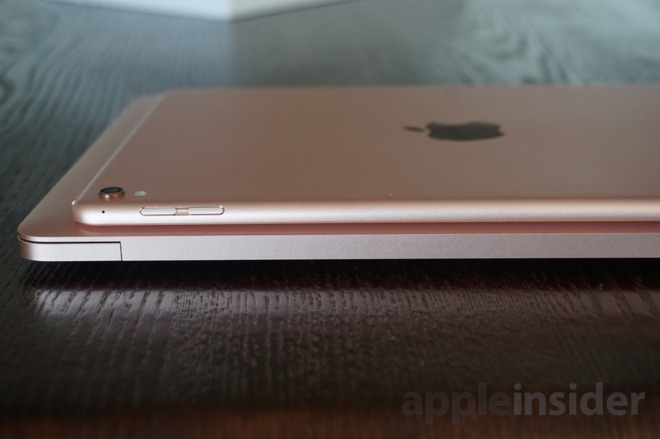 The 12-inch MacBook is very, very light. And the USB-C cable connects very, very snugly. This is to say that if someone trips over your MacBook cable, your $1300 notebook may not survive that trip. We'd prefer to have seen Apple offer a new, thinner MagSafe charging port plus a single USB-C port. Doing so would not only bring back the benefits of MagSafe, but also squash complaints about the inability to charge the MacBook and plug in accessories at the same time. And sticking with USB-C could allow the thin profile and forward-thinking design of the notebook. Hopefully MagSafe returns if and when Apple decides to tweak the design of its ultraportable. The rest of the design is also unchanged, which means opposite the USB-C port, on the right side of the notebook, you'll find two small microphone holes and a 3.5-millimeter headphone jack. If Apple plans to ditch the headphone jack on this year's "iPhone 7," it isn't quite ready to make that move with the early 2016 MacBook. 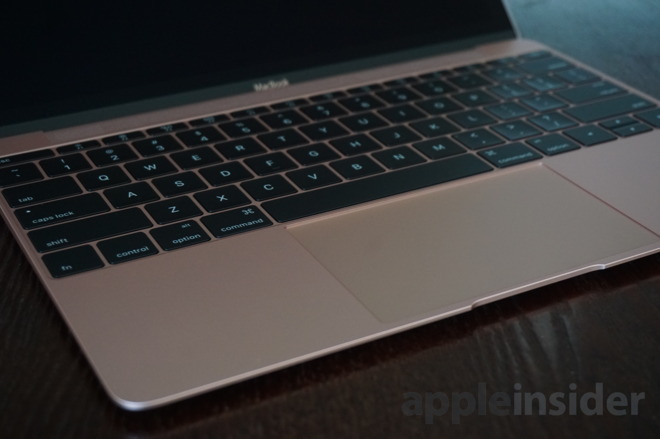 This year's model features the same stunning 12-inch Retina display as the first-generation MacBook. It also once again includes the Force Touch trackpad, which allows for a thin, click-less design, offering haptic feedback when pressed. We continue to be amazed at how well the Force Touch trackpad feels like a real click, and it's a true testament to Apple's technical prowess. The keyboard is also unchanged, which means, as with the single-port chassis, some will love it and some will hate it. The keys definitely feel different, and are shallower when pressed— something necessitated by the thin design. 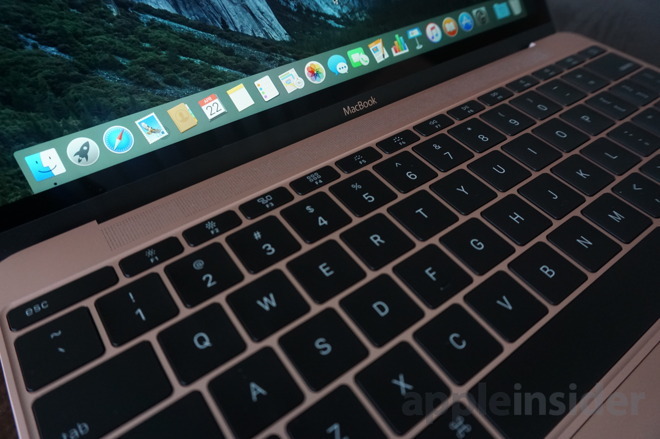 As we noted last year, we have zero problems typing on the 12-inch MacBook keyboard. This review was written on the new MacBook, and we were able to type just as fast and accurately as on our regular machine, a 13-inch MacBook Pro. Apple's strange aesthetic-driven choices for the arrow keys and escape key remain: The escape key in the upper left is elongated to fill out the row, while the up and down arrows in the lower right corner are half-size, and the left and right arrows are full-size. The strange mix of full-size and half-size keys takes some getting used to. The keyboard is also backlit, and we doubt many users will be bothered much by the compromises or design decisions made by Apple. After typing on it for a short while, you'll forget it's different. It works. Finally, we should note that the FaceTime camera located above the Retina display remains a very low resolution 480p. This comes as no surprise, though, as the thinness of the display portion of the notebook prevents anything higher quality. Perhaps those who want a better integrated camera want an iPhone 6s-style camera bump? 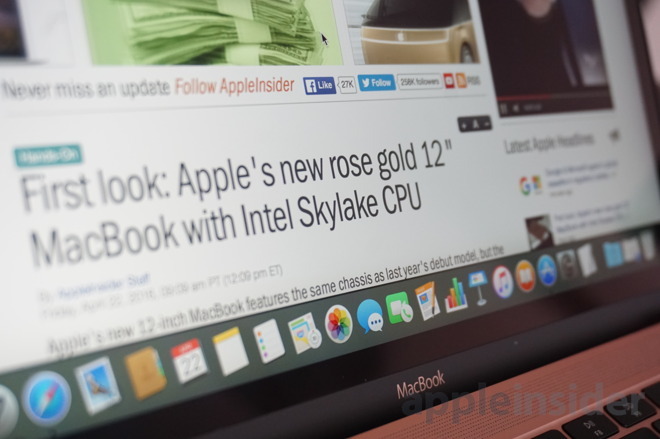 As we noted earlier, our test model was the basic 12-inch MacBook, featuring a 1.1-gigahertz Intel Core m3 processor. It also features faster Intel HD Graphics 515 with 1.5 gigabytes of dedicated memory, as well as 8 gigabytes of RAM that are faster than last year's model, clocked at 1867Mhz. The flash memory in the MacBook has also received a significant boost, with some write tests showing it's up to 90 percent faster than last year's. In all, the MacBook strikes us as slightly snappier, but these kinds of welcome-yet-incremental improvements are not going to break new ground. We ran a 64-bit Geekbench 3 test on the early 2016 MacBook to give a quantitative measurement of the Core M processor's performance. It clocked in with a single-core score of 2510, and a multi-core score of 5002. Though it's hardly a fair comparison, we ran the same test on a high-end 2015 13-inch MacBook Pro with a 3.1-gigahertz Intel Core i7 processor, to put the numbers in perspective. It earned a single-core score of 3487 and a multi-core score of 7515. What does all this mean in real-world use? If you're just browsing the web, checking your email, editing some documents, and doing the occasional light photo or video editing, not much. Users looking for a step up from an iPad but who don't need the raw horsepower— and size —of a MacBook Pro will once again be pleased with the 12-inch MacBook, just as they would have been with last year's model. It's once you start to attempt more processor intensive tasks that the MacBook starts to get bogged down. We edited together a quick 2-minute video in 4k resolution in Final Cut Pro X. Editing the video itself was largely acceptable —while tasks like scrubbing or cutting clips would occasionally stutter, it wasn't enough to frustrate us. Exporting the video was a little on the slow side, but again, if you're willing to wait and you're not regularly doing this for high-end professional tasks, you can definitely make this system work for you. Exporting our two-minute 4K clip (shot with an iPhone SE and 6s, and without any multi-layered, complex edits) took about six and a half minutes— not great, but serviceable and capable. Of course, Final Cut Pro X was used without anything running in the background. Multitasking on the MacBook, especially with more intensive apps in the background, is a bit more of a problem. Even just sticking to Apple's own built-in apps like iTunes, QuickTime, Pages, Photos, iMessage, Mail and Safari, we noticed some slowdown while attempting to push the notebook to its limits. Basic tasks like quickly opening a new tab via Command-T would work with a noticeable delay as more was being asked of the machine. The MacBook also began to struggle with things like dragging a window around the screen— animations stuttered as more tasks were opened. This is not to say that it didn't work and wasn't usable— it totally is. And this was an extreme stress test, to see how the system would hold up with ten-plus apps at a time. But all of this is to say that if you are the type of Mac user who opens 10 apps and 10 Safari tabs at one time, the MacBook is probably not the machine for you. Processor limitations are ultimately out of Apple's hands. But one area where the company could offer a potential performance boost, especially with more demanding tasks, is RAM. We're hopeful that sooner rather than later, Apple will offer a 16-gigabyte RAM upgrade for the 12-inch MacBook. That seems like a simple enough improvement the company would make without being beholden to Intel for speedier chips that can support the device's thin, fanless design. A high note for the MacBook is battery life: Last year's model boasted an excellent nine hours of uptime with average use. This year, efficiency improvements made by Apple and Intel's Skylake chip squeeze another hour out of it. We used the MacBook for a full workday and, like last year, had no problem. In our more quantitative battery stress test, streaming a YouTube video with brightness set to auto, we ran the MacBook more than 9 hours, at which point OS X said we had more than a full hour remaining. The point is, if you want to get a full day of web browsing and checking email out of this Mac on battery, you shouldn't have a problem. In considering the early 2016 MacBook, we kept asking ourselves one question: If someone had already formed a definitively positive or negative opinion on Apple's 2015 model, is there anything this year's upgrade has done that would change their minds? The answer: Probably not. A boost in processing power is always welcome, but Intel's new Skylake chips aren't enough of an increase for users looking to run ultra-demanding CPU-heavy tasks. The lack of a 16-gigabyte RAM upgrade means multitaskers and high-end video editors will need to look elsewhere. For these users, Apple still offers the MacBook Pro. The lack of ports remains both a blessing and a curse. While we don't necessarily bemoan the lack of connectivity (there are adapters available, and you can now directly plug your iPhone or iPad into your MacBook), that's a major concession that will alienate a number of potential buyers. And again, that's fine, because Apple continues to offer the MacBook Pro for those who use USB accessories regularly, or need an HDMI or SD card port. Then there's price. Starting at $1,299, it costs just as much as a more powerful and capable (but also significantly larger) MacBook Pro. Frankly, it feels like price is the main area where Apple could have made some inroads with this year's model. Innovation doesn't come cheap, however, and early adopters of Apple's forward-thinking laptop will pay accordingly. Apple continues to offer its legacy MacBook Air lineup, starting at $899 for the 11-inch model and $999 for the 13-inch version. Bumping the 13-inch model up to 256 gigabytes of storage and 8 gigabytes of RAM, matching the entry 12-inch MacBook, results in a price of $1,199— $100 cheaper, and with a faster 1.6-gigahertz Intel Dual-Core Intel Core i5 processor. Those same specs can be had on the 11-inch model, too, for the same price, though both obviously lack the impressive Retina display of the 12-inch MacBook. The MacBook Air lineup already has one foot out the door, so we'd be reluctant to recommend it to new purchasers. And yet still, those who want to get in on Apple's Mac ecosystem can look to it as a viable option at a sub-$1,000 starting price. And so here in 2016, we feel the new 12-inch MacBook finds itself in very much the same place as the first-generation model from early 2015. It's squarely targeted at more casual Mac users interested in an ultraportable design, but it's priced at a level that will probably turn many of those customers away. Once again, stuck in the middle. Perhaps the simplest way to say it is this: If you're considering buying the faster 1.3-gigahertz processor for the 12-inch MacBook, you're probably not the type of person who should be buying a 12-inch MacBook. You could save money— and get a faster processor —with the MacBook Air, or spend the same amount and get an even faster processor with the MacBook Pro. A MacBook buyer shouldn't be fretting over processing power, because for basic tasks it's plenty serviceable. Those extra few megahertz aren't going to make or break this machine, and certainly not at these prices. Once again, the early 2016 MacBook remains a machine intended for people who don't mind its compromises, or even embrace them. It's still a vision of the future of computing, intended for early adopters, enthusiasts, or those who don't mind the price. Still too underpowered for serious users, and still too costly for most casual use, the early 2016 MacBook is a fantastic little machine intended for a little market. Apple's Early 2016 12" MacBooks start at $1,299.00 for a model with a 1.1GHz processor, 8GB of RAM and a 256GB solid-state hard drive, and scale up to a model with a 1.3GHz processor and 512GB of storage for $1,749, before tax. But given the similarities to the models they replace, some prospective buyers may want to consider purchasing one of the remaining Early 2015 12" MacBooks, which are seeing discounts of $200 to $235 from Apple authorized resellers listed in our Mac Price Guide. Several of these resellers also only collect sales tax on orders shipped to a handful of states. Early 2016 12" MacBooks are beginning to trickle into Apple's reseller channel, with Amazon, ABT, and Adorama reflecting stock of a few configurations in our in our Mac Price Guide (segment below). For customers outside NY, B&H Photo will deliver the lowest net price, as it does not collect sales tax on orders shipped to the 49 other states, saving most shoppers between $100 to $140, depending on the model. It has a few models in stock and is expected to begin shipping the remainder of the lineup when it reopens from a holiday closing on Monday. It also offers AppleCare for these MacBooks at the discounted rate of $229 using this link. Alternatively, some remaining 2015 12" MacBooks deals offer great bang for the buck, with the lowest prices —and $200-$235 discounts —split between ABT, B&H and Adorama. Models currently start at just $1,099, in our Mac Price Guide (segment below) with additional deals expected in the weeks to come. The 12-inch MacBook (Early 2015) was introduced on March 9th, 2015 as Apple's thinnest and lightest MacBook ever at just 2 pounds and 13.1 mm thin. With it, the company pioneered a number of new technologies and set new milestones, redesigning essentially every component of the notebook. For instance, the 12-inch Retina display that is the thinnest ever on a Mac at just 0.88 mm thin, a new keyboard that's 34% thinner and 40% more precise, an all-new Force Touch trackpad, and an incredibly compact USB-C port for data transfer, video out and charging through a single connector. Under the hood, users will find fifth-generation Intel Core M processors that run at just 5 watts, Intel HD Graphics 5300, 802.11ac Wi-Fi, Bluetooth 4.0, and a breakthrough terraced battery design that is layered in individual sheets to precisely contoured to the MacBook's curved enclosure; maximizing every millimeter of available space in order to deliver all-day battery life. 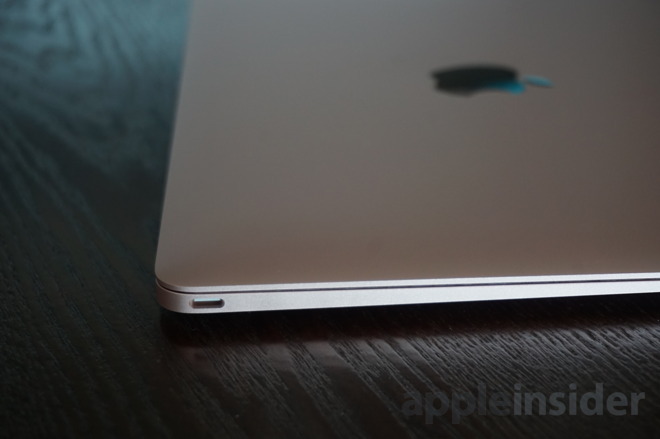 The 12-inch MacBook (Early 2015) is available in three aluminum finishes -- gold, silver and space gray. Shoppers looking to purchase AppleCare alongside an Early 2015 12" MacBook should check out our Macs with AppleCare Price Guide, where bundles of the pair are discounted by up to $310. Additionally, Apple authorized reseller Adorama —which is offering the lowest prices on 90% of the lineup with AppleCare —is also throwing in a free LG Super Drive, Apple USB-C to USB Adapter for MacBook, and USB hub with each order. Adorama also won't collect sales tax on orders shipped outside NY and NJ. If you haven't ordered from Adorama previously, review these helpful tips for securing these deals. 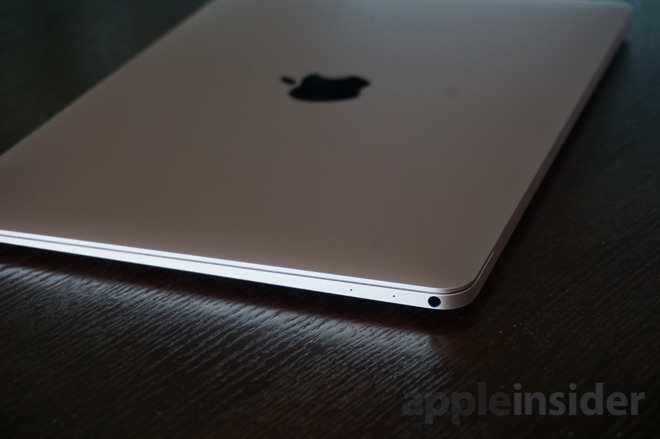 Below you'll find pricing from Apple authorized resellers for Apple's 12" MacBook (Early 2015) family of Macs paired with one of the company's AppleCare extended warranty protection plans. Every 12" MacBook comes with a one-year limited warranty and up to 90 days of complimentary telephone technical support. Purchasing an AppleCare Protection Plan alongside a new MacBook will extend that warranty for an additional two years. With it, you'll also get direct, one-stop access to Apple's telephone technical support for questions about your Mac, macOS, and Apple-branded applications such as Photos, iMovie, GarageBand, and more. In addition, youâll get 24/7 priority access to Apple experts via chat or phone, and even local repair service when you visit other countries around the world. An AppleCare extended protection plan for a 12" MacBook retails for $249, but considerable discounts can be found on Macs bundled with AppleCare from authorized resellers such as Adorama and B&H.